Want a New Chevy Truck for just $10.00? Re: Want a New Chevy Truck for just $10.00? so did reb by 20 already!!!!!!!!!! Oooooo....oooooo...... count me in for 2! OK I am in for 2 also. sent my 20 bucks in the mail today!!!!!!!!!!!!! cant wait to drive my new chebby home!!!!!!!!!!!! sent my 20 bucks in the mail today!!!!!!!!!!!!! cant wait to dive my new chebby home!!!!!!!!!!!! sent mine today too!! good luck to all!!! HEY! There's a Ford in yer future! Just funnin' ya. Back on topic. LOL I knew you'd catch that. wondering why someone would want a pile of scrap metal????????????? Good to know you work for Chevy and my thanks to the dealers for making this possible. Also, it is a great deal for many even if you buy a ticket and don't get drawn. All the money stays in Minnesota. Half stays with the Chapter that sells the ticket and is used for local projects. Our chapter uses this money to support Archery in the schools, High School Trap teams, 4-H Shooting sports, Scholarships to send kids to summer camps (Forkhorn Camps) and youth Mentored deer hunts as well as some local habitat projects. The other half goes to the State organization but doesn't just end up there. The State funnels a lot of this money back to the chapters in the form of matching grants etc. Of course, some does end up to cover costs of running the organization. Cheers all and thanks again. DE...did ya get ma check? Just so you guys know deadeye sent me copies if the winning ticket today!! me thinks I have the winning ticket!!! of course you do................it just sits in da garage cause it gets stuck all da time!!!!!!!!! Last time I gave away a new chevy truck via ducks unlimited it works like this when you purchase the chevy raffel ticket and win the print or chevy luggage or whatever your chapter got to raffel off from chevrolet your name is put in for the finale truck drawing and invited to a over night stay usually at "craguns" on gull lake where we had the truck on display , then I gave each finalist a ignition key but only one key was programed to start the truck pretty exciting if you made it this far....well wouldn't ya know the gal that won the truck that year bought only one raffel ticket from me at the lakeville d.u. banquet ,she made it to the final drawing and won the truck,she didn't have a drivers license either,so she gave the truck to her husband on valintines day that year she kept the winning a secret as they were short on cash,farmers never had a new vehicle either,a feel good story. 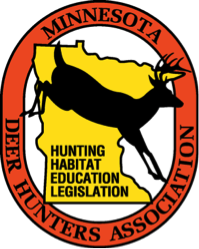 We, (MDHA) planned it the way you describe but after some research discovered that violates some state law that requires us to publish the "odd" on the raffle. 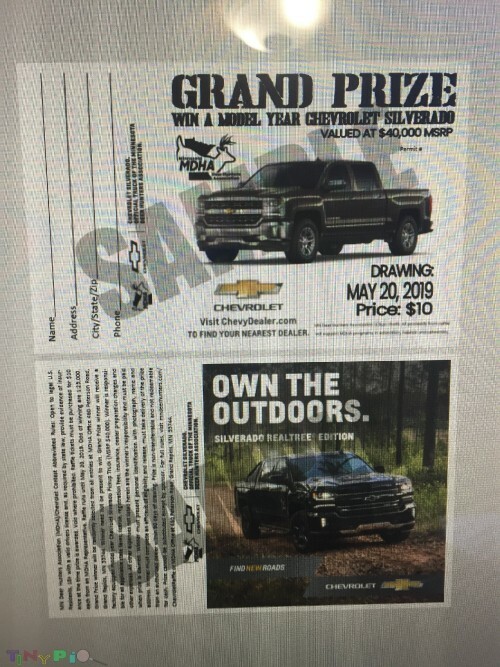 It is not possible to calculate the odds if we have 60 some raffles for the print with various entries some more some less and then blend that in with the truck drawing. As a result, all entries go in the bucket for the truck. so you purchased the truck and then donated it to the MDHA??????? Page created in 0.046 seconds with 63 queries.